Dragon Brood • View topic - Favourite thing about BoF? As the topic says, what's your favourite thing about the games? For me, despite the touching stories, it has always been the soundtracks, form part 3 and 4 in particular. The jazzy tunes in 3 and the mixture of eastern and western influences in 4 always got me tapping my foot while playing. I still listen to them while in the train regularly. Re: Favourite thing about BoF? I think the clans and the way everyone can just take after some animal form is just so cool! The fact that the "Gods" in BoF aren't really conventional gods. 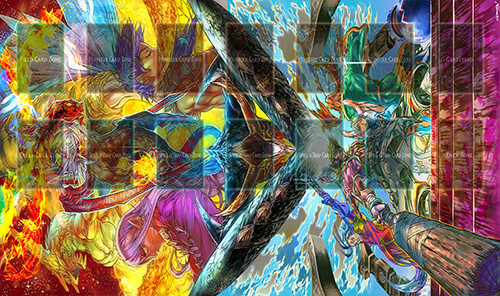 Mah Yu-gi-oh Mat. I be a Duelist. The Storyline of the first three games. I just love when games are connected by the timeline ! It makes people talking and speculate about the time between those games ! I also like it when the connected games (the second or third) are refering to the first game ♥. I also love the idea of using mythology creatures as races, I know it's everywhere, but BoF made it kinda special by doing a complete clan using humans with those features, you know what I mean ? But it was BoFIV that did it for me. I loved the atmosphere of it, the feeling of the end of an era. So much work was put into the world building aspect of it, and as something of a writer myself, I love reading and looking into the process of that, including stuff like character development, plotting, pacing, etc. When I saw the artbooks, and how much time and detail was put into minute details of stuff like outfits and the love that went into it...yeah. Bof3 was my first RPG, I played it with my brother and my cousin. When I was little, the Dragons and the cool characters caught my attention. But as an adult, I found almost everything wonderful. The way games are connected, the tragedy, the characters development, the atmosphere, the music. The Bof universe it's a very unique one and has a lot more to offer. That's why I didn't like so much Bof5, since a lot of the spirit from the other games was not there, totally different from all the others. I really missed a lot of things there, since I was hoping something like a Bof4 with even better graphics, characters, clans, a great world to explore, more masters, etc. At the end, the universe and elements in there is my favorite thing about Bof. Besides being able to transform into a dragon at practically any point you want, given you have unlocked the ability, the characters and people found within the game and their interactions. In BoFIII when Ryu and Nina are being chased by the jerk horse bros., and you make it to Momo's lab. Momo will go on explaining something out loud but Nina and Ryu are off to the side goofing off with Honey or something. It's this that makes me keep coming back to the series where the animations are so expressive and being about to learn and feel the character just from there interactions within the story that surpasses typical RPGs. I think one of the biggest original draws for me was, besides the obvious (turning into a dragon! ), the clans. I thought all of the designs were cool, and the fact that they, to some extent anyway, had lore to go with them. I always say the stories are great, too. But now when I think about it, I think that when I'm drawn to a story, it's the characters that draw me in. So, I guess, Breath of Fire games just have a cast that intrigues me. Definitely the clans. When I was first introduced to bof4, the idea of having different species of animal/half animals as clans was rather new to me. After years of playing different games, I can with no doubt conclude that bof series(at least for 4 and 5 since I only played these two by far) have the most flawless story line. and everything about Breath of Fire IV I guess.